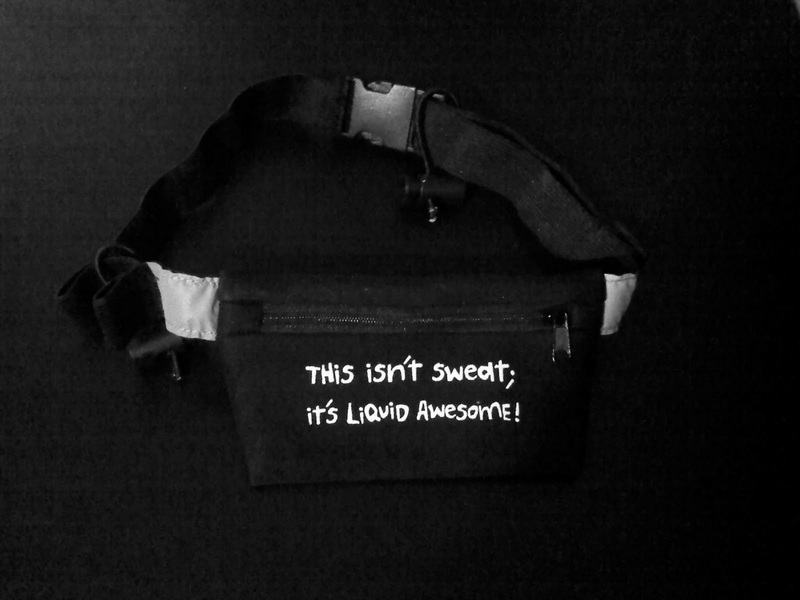 Liquid Awesome and Hanging Pride! My favourite things of this week were all presents. OK, they weren’t really presents because I paid for all of these things. But when you get a package in the mail or someone drops off an amazing package for you– it feels like a present in my mind! How amazing is that belt?! I may have said this before (or a million times) but when I’m working out I SWEAT! Well, the truth is I don’t sweat. Liquid AWESOME just gushes out of my pores! I’m in love. And SO glad that my sister Julia found this at the One More Mile booth at Scotiabank Toronto Waterfront Marathon expo. 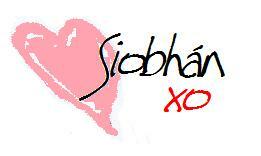 I went onto the site with the main purpose of getting Mumsy a custom made one for her birthday. She always says, “I run for the bling!” So the awesome people at Allied Medal Displays made her one that says “Nancy’s Bling” and has a runner girl at the end of it. Obviously I couldn’t push “order” until I added something for myself. My room isn’t even close to that colour so I’m not sure my camera turned a light green wall into a tan. But the main thing is: 5 race medals in a year of running. Yes, it took me a year to hang up my awards. Speaking of NEW!.. Have you checked out my new and improved ABOUT ME and RACE RESUME sections yet?! How do you remind yourself of how awesome you are?! 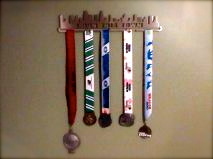 Do you hang your race medals or store them?